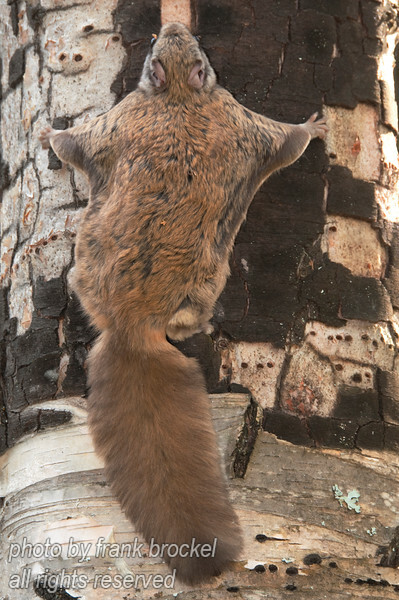 I found this Flying Squirrel ( Glaucomys volans) while camping in South Eastern B.C.. Contrary to what its name suggests, the flying squirrel cannot fly. Instead, it glides with two furry membranes, called patagia, loosely stretched between its wrists and ankles. The membranes act as a parachute to support the squirrel while jumping from tree to tree.